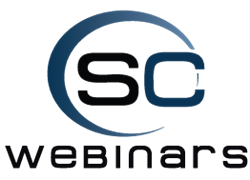 SoundConnect’s 2015 webinar series empowers users in their quest to leverage unified communications and collaborations most innovative and powerful tools. This webinars series is essential for our unified communication and collaboration users to stay informed on the quickly evolving easy to use online business technology. SoundConnect’s 2015 next generation webinar series is designed to introduce cutting edge communication technology, provide continued education and inform users and partners of platform upgrades. This webinar series demonstrates online communication features and benefits; empowering users in their quest to leverage web conferencing’s most innovative and powerful tools. SoundConnect’s webinar series is accessible anywhere, from any device, with an Internet connection. These webinars are scheduled for the third Wednesday of each month at 11:30 AM EST. The upcoming events focus on SoundConnect comprehensive portfolio of tools, providing a thorough platform overview and interactive Q&amp;A sessions. Webinars will be open for registration one month prior to the event. To register for an upcoming webinar, or for more information, visit the SoundConnect News &amp; Events. SoundConnect specializes in unified business communications. Their offerings include a comprehensive portfolio of Unified Communication and Collaboration services including: Microsoft hosted services, Lync, Adobe Connect, WebEx, audio conferencing, webcasting, and video conferencing. SoundConnect’s comprehensive communication technologies are customized and implemented to optimize the requirements of their customers by streamlining communications services that improve productivity, expand communications, reduce operational expenses and provide tools that empower collaboration efficiency.